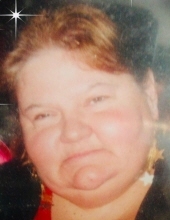 Monroe, Utah - Yvonne Frances Lomas Parzych, was 62 years young when she was peacefully called to Heaven on Jan. 14, 2019 in Monroe. She went peacefully with her family holding her hands until the very last minute. She was born September 27, 1956, in Trenton, Michigan to parents George and Mamie Lomas. Some people called her Yvonne while others called her Vonnie, but she was known to her family as Nana. Yvonne was a wonderful caring spouse, mother, aunt, nana and friend to everyone that knew her. She was very quick witted and could bring a smile to everyone's face no matter what. She also had an amazing talent of calming anyone that was stressed and providing a shoulder for anyone that need it. Yvonne had many hobbies and activities that she loved to do in her spare time. She loved traveling to Las Vegas for any reason she could think of, whether it was for a concert or to just lay in the pool at the Golden Nugget. She loved fishing, didn't matter where, it could be Big Lake or Monroe Pond, her face would light up with that fishing pole in her hands. Some of her other hobbies include growing beautiful flowers in her spare time. She has won many blue ribbons from the Sevier County Fair for her alluring flowers. She would also attend to her garden in the back yard where she would grow tomatoes and other vegetables that she enjoyed everyday. Yvonne loved going out looking for deer, even though she was not a hunter she loved being outdoors. If Yvonne wasn't outdoors she was taking care of her cat Penny, who she rescued from the freezing cold one night. Yvonne had a heart of gold and strong will for life, and the family would like to thank John and Andrea Earl for all your love, hard work and dedication that was provide to Yvonne. A big thank you also goes out to Intermountain Hospice for all the amazing care that you provided during her time of need. Yvonne is survived by her spouse, John Earl, Monroe: two sons David Parzych, Stillwater, OK, and Matthew (Ben) Cline of Waterloo, IA; 3 step children, Shane Earl, Monroe, Miranda (Larry) Wiley, Central Valley, and Andrea Earl of Monroe. 3 grandchildren Ashley Wiley, Salt Lake City, Dylan and Johnny Wiley of Central Valley. Her sister Janet (Walt) Richards, Ypsilanti, MI and brother Martin Peters of Florida. Yvonne is also survived by many nieces and nephews and a large extended family. Yvonne was preceded in death by her parents George and Mamie Lomas, her brother Charles Peters and sister Susan Rosenberry. Private family services were held and burial will take place at a later date under the care of the Springer Turner Funeral Home of Richfield and Salina, Utah. To send flowers or a remembrance gift to the family of Yvonne Parzych, please visit our Tribute Store. "Email Address" would like to share the life celebration of Yvonne Parzych. Click on the "link" to go to share a favorite memory or leave a condolence message for the family.